The grant was awarded following an increase in the number of traffic collisions involving bicyclists and pedestrians. In 2013, over 750 pedestrians (representing a 6.6% increase from 2012) and more than 150 bicyclists (a 10.6% jump) were killed in traffic collisions. The grant’s time period is October 1, 2015, to September 30, 2016. During the course of this year-long campaign, Highway Patrol officers will implement bicycle and pedestrian collision statistics in order to improve enforcement of traffic laws and to fund public education programs. The grant is funded by the California Office of Traffic Safety which operates under the National Highway Traffic Safety Administration. Enforcement under the grant will incorporate the recent Three Feet law, which states that motorist must keep a distance of at least three feet between any part of their vehicle and any part of a bicycle in operation on the roadway. Educational campaigns under this grant are expected to include pedestrian safety presentations, as well as materials and presentations on the topics of motorist and bicyclist behavior. 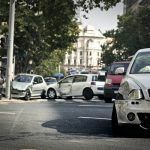 I’m Ed Smith, an East Sacramento attorney with the most informative and comprehensive accident site on the internet, www.AutoAccident.com. 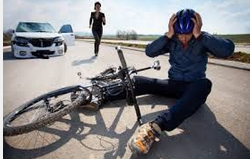 If you or someone you know has been injured in a bicycle or pedestrian accident due to the negligence of a driver, please feel free to call me for free and friendly advice at (916) 921-6400. If you are outside of the Sacramento region, call toll free at (800) 404-5400. Be sure to read our reviews on Yelp! or Avvo.